Premier Li said free trade account reforms, being tested in the Shanghai Free Trade Zone, could expand to other areas. Two foreigners received permanent resident permits during Premier Li Keqiang’s inspection of the Shanghai FTZ administrative service center. 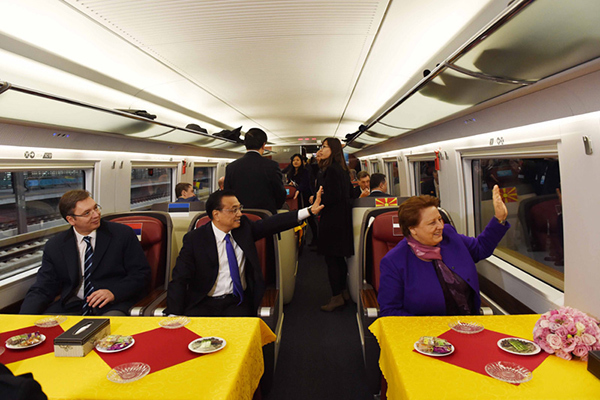 Heads of governments from CEE nations take a bullet train ride to highlight cooperation with China after the annual summit. China and CEE countries should build on previous fruits and accelerate win-win cooperation, Premier Li said in Suzhou. China and Serbia should work together to implement key agreements, Premier Li Keqiang said on Nov 26. Premier Li Keqiang vowed more cooperation in infrastructure building and industrialization with Macedonia on Nov 26. 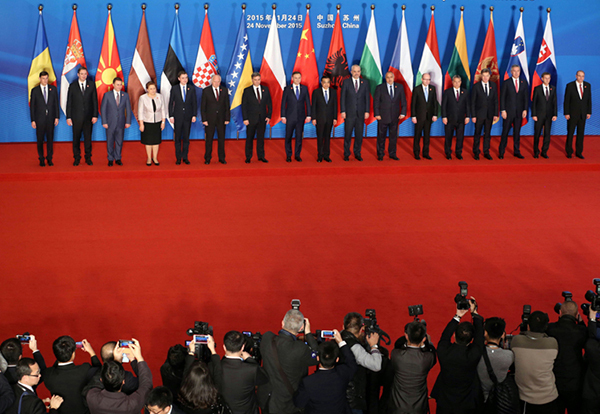 A five-year blueprint for cooperation in areas such as trade was formulated at the fourth China-CEE summit. The fourth Meeting of Heads of Government of Central and Eastern European Countries and China will be held in Suzhou, Jiangsu province, on Nov 24-25.